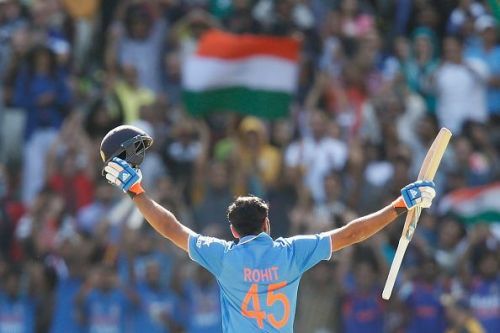 Is it time for Rohit Sharma to be India's limited-overs captain? India had an impressive Asia Cup last month and the Men in Blue defended the title successfully. The Men in Blue won the Asia Cup without losing a single match and it was the seventh Asia Cup title for them. India played the tournament without star batsman and regular skipper Virat Kohli. Several critics predicted that India might not do well in the tournament without Virat Kohli but the Rohit Sharma led side proved them wrong. India had a long tour in England, where they played matches in all three formats. Kohli had an awe-inspiring tour of England and he finished the Test series as the top run scorer. The Men in Blue will visit Australia for a long tour and it is essential to keep a key player like Kohli fit and fresh for the Australia tour. Hence, he was rested for the Asia Cup. Rohit Sharma did a commendable job as the stand-in keeper in the Asia Cup. He led from the front and scored plenty of runs in the Asia Cup. In fact, his bowling changes and fielding placement were remarkable. The commentators also applauded his captaincy skills. Additionally, his batting was stupendous in the tournament and he scored 317 runs at an average of 105. He finished as the second highest run-scorer of the tournament. Meanwhile, Kohli is also a good captain, but Rohit's track record as a captain shows that India has a better option in the limited overs Cricket. Kohli is an attacking captain like former Indian skipper Sourav Ganguly and his captaincy is noteworthy in the Test Cricket. However, his captaincy in the limited overs Cricket is questionable and he often gets criticised for his bowling changes and field placement. As a matter of fact, he was also criticised in the past for his substandard team selection. Rohit Sharma is not new to the leadership role and he has been doing it for a long time in the IPL. He was appointed the captain of Mumbai Indians in 2013 and the Mumbai franchise won three IPL titles under his leadership. Additionally, he also won the Champions League T20 as the Mumbai Indians skipper. Rohit has led Mumbai Indians in 97 Matches and he has a winning percentage of 59. Whereas Virat Kohli is also the skipper of Royal Challengers Bangalore(RCB) but his captaincy record is not impressive in the IPL. Kohli was appointed the skipper of RCB in 2013 but he has not managed to win the IPL yet. As a matter of fact, RCB failed to qualify for the playoffs in the last two seasons and the Bangalore franchise's performance has been ordinary under Kohli's leadership. Kohli scores plenty of runs in the IPL and he is the second highest run scorer of IPL. But RCB failed to do well despite having top-notch players. Rohit Sharma won the Nidahas Trophy earlier this year as the Indian skipper. It was a tri-nation series and India became victorious in the final. He has led India in eight T20 matches and he has lost just one match. His leadership record is astonishing for India and Mumbai Indians. Therefore, BCCI should consider Rohit Sharma as the new skipper in limited overs Cricket. Is Rohit Sharma a better leader than Virat Kohli?